Gor Mahia are now throught to the round of 16 in the 2016 GoTV shield. This after beating Nairobi Stima 2-0 at Nyayo stadium on Saturday. 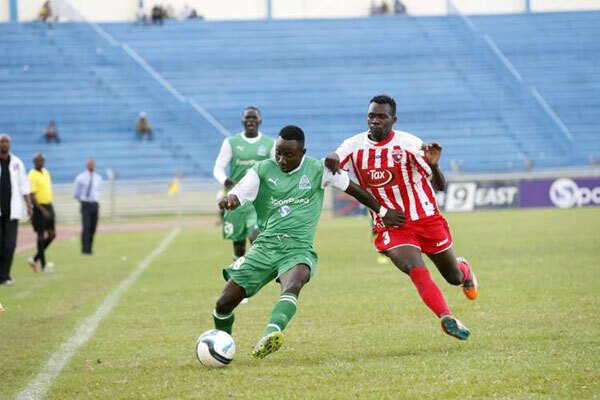 Gor Mahia stormed into third round of GOtv Shield after thumping Nairobi Stima 2-0 at Nyayo Stadium on Saturday. The goals were scored by Enock Agwanda and Meddie Kagere to ensure that the Kenyan champions strolls all the way to the round of 16. Luke Ochieng’, Wellington Ochieng’, Chrispin Odula and Jacob Keli were given a rare start against the Nairobi power men, who had former K’Ogalo players Joel Bataro and Ivan Anguyo in their starting line-up. The home side started the match well and in the 3rd minute, Enock Agwanda was fed the ball by Amos Nondi in the danger zone, but his effort was deflected out for a fruitless corner. In the 25th minute, Gor Mahia could have taken the lead as former Muhoroni Youth defender Wellington Ochieng’ played in a fine cross, but Agwanda was a little late to head in. 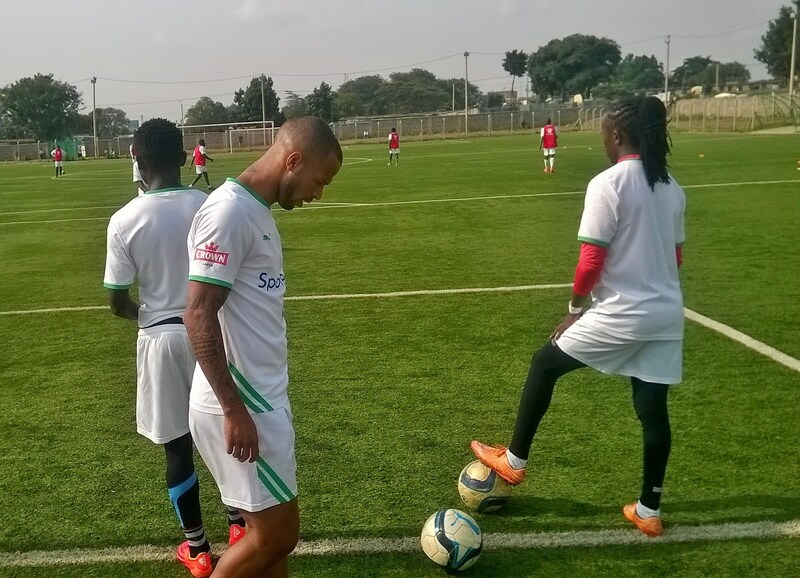 Both teams played cautiously, with Gor Mahia playing unusual long balls which were dealt with by their opponents. In the 42nd minute, Ivan Anguyo could have scored for Stima as the Ugandan took control of the ball in the box, but his effort was close to Jerim Onyango in goal. A minute to the break, Enock Agwanda was fed in the box by George Odhiambo, but he failed to control the ball and the goalkeeper Bataro calmly collected it. The first goal however, arrived in the 48th minute. Musa Mohammed played a long ball to Agwanda, who did well to put it past a hapless Bataro. Stima reacted well trying to push for an equalizer and they should have been rewarded at least a free-kick just outside the box later on as Wellington Ochieng seemingly fouled the opponent, but the referee played on. It was a costly let off later as substitute Meddie Kagere ensured Gor Mahia qualify for the third round. Francis Kahata, who had taken Odula’s place, provided an assist for the rushing Kagere, who powered home a thunderous header. Gor Mahia: Fredrick Onyango, Wellington Ochieng, Abouba Sibomana, Musa Mohammed, Luke Ochieng, Crispin Odula, Amos Nondi, Anthony Mbugua, Jacob Keli, George Odhiambo, Enock Agwanda. Subs: Sammy Okinda, Eric Ouma, Collins ‘Gattuso’ Okoth, Francis Kahata, Baron Oketch, Meddie Kagere. The Kenya premier league will take a break this weekend as teams resume the 2016 GoTV shield which has now reached the round of 32. 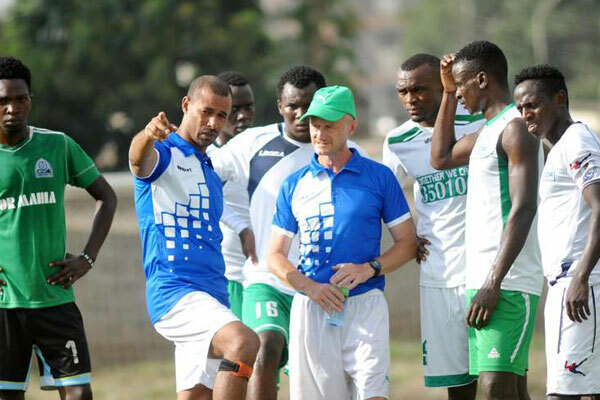 Gor Mahia have an easy outing against national second tier side, Nairobi Stima. The match will be played Saturday at Nyayo stadium. For coach Ze Maria, its a chance to try out Crispin Odula who though he has not been playing has been training with the team. Its also a chance to work out the kinks in the Kagere-Tuyisenge combination. Gor Mahia opened their 2016 campagn with a 3-0 win over Mombasa Mahakama with goals from Abouba Sibomana and Jacob Keli (2). Last year Gor Mahia reached the semi-finals by beating Langata Gremio (3-0), Ushuru (3-2), Palos (4-2), Administration Police 3-1, before losing to Nakumatt on penalties. Fatigue was a significant factor in the Nakumatt match. The winner of the 2016 GoTV shield will pocket Ksh 1 million and earn the right to represent Kenya in the 2017 CAF Confederations cup. Gor Mahia have won the domestic cup 10 times with the most recent being in 2012. That is more than any other team. Much to the relief for fans everywhere, Gor Mahia recovered to beat Nairobi City Stars 2-1. It look late goals from returnees Haron Shakava and a late one from Collins Okoth to deliver all three points. It was atimely win for a team that has struggled in the past two games. For coaxch Ze Maria it was a relief as some fans had started to doubt him especially his ability to create a partnership between Tuyisenge and Kagere. K’Ogalo came into the match after two successive draws knowing they had to start winning if they have real intentions of successfully defending their title, with the Kawangware-based side also aware of relegation threats considering their unpleasant position in the log. The match started on a high note as both sides fought for an early opener, and it could have been Gor Mahia, who had scored in the 5th minute as Erick Ouma found Meddie Kagere in the danger zone, but his flick went inches wide. Jimmy Bageya narrowly missed the target in the 11th minute, as he danced his way past the defenders. It was a wake up call for the champions, who found it hard against the opponents’ well organized midfield. But the opener came in the 22nd minute thanks to Haron Shakava, who scrambled the goal home after a well taken free-kick by Karim Nizigiyimana. However, the lead lasted for less than 90 seconds as City Stars hit back courtesy of Ezekiel Odera, who took full advantage of Gor Mahia’s lapses at the back. In the 43rd minute, Olivier Maloba was fed the ball after a nice move in the left wing, but shot straight at Boniface Oluoch despite having many options. In the second half, City Stars started strongly and Shakava was forced into a game saving tackle to deny Mageya who was sure to beat him, and the former was cautioned. The introduction of Baron Oketch increased the tempo upfront for the champions as they won two consecutive corners in the 50th minute, but bore no fruits. Five minutes later, Meddie Kagere wasted a glorious opportunity. Nizigiyimana floated in a cross from the right, but the Rwandan headed over the bar. It was pressure after pressure from K’Ogalo, who were keen on getting three points, but resolute City Stars defense ensured it does not happen. The winner however, came in the stoppages as substitute Enock Agwanda threw his trademark long ball towards the goal, and Collins Okoth managed to win it for the champions. Gor Mahia have now moved second with 34 points, three behind leaders Tusker, who failed to get a win against Sofapaka earlier on. Gor Mahia coach Jose Marcelo Ferreira aka Ze Maria has admitted that his team has been out of sync for the past two days. Gor Mahia started the second leg well taking a 2-0 lead against Thika United but then played below par after taking a two goal lead. The subsequent matches against Ushuru and Kakamega were dissappointing as the Kagere-Tuyisenge partnership failed to click, the midfield was sub par and the defence appears shakey. Meanwhile teams sought to spoil the game in order to gain a draw. “Some teams apply very crude methods of surviving against us. You find that sometimes we play just 30 minutes in each half because the rest of the time the opposing players are lying on the ground feigning injury,” he said. He can expect more of the same against City Stars on Sunday so he needs to come up with a strategy to counter such negative tactics. It is also possible that teams have figured out a way to counter Ze Maria’s tactics. So Ze Maria may have to adapt to new tactics. The mark of a great coach is the ability to adapt and change tactics depending on the circumstances. Unlike the past three years when Gor Mahia has found itself at the top of the league by the halfway mark, the club is now 5 points adrift of league leaders Tusker. Gor Mahia have dropped four points in the last two games. Had they collected maximum points against Ushuru, they would be only one point adrift. Nevertheless, coach Ze Maria is confident that with 12 matches to go, Gor Mahia can overhaul Tusker. “We have 12 games to play. Five points is nothing. When I arrived here, Gor Mahia were behind with seven points but at the end of the first leg, we were on same points with Tusker. So, all is not lost. We still have time and will fight,” ‘Ze Maria’ told Capital Sport. Gor Mahia’s midfield has been particularly sub par of late due to the departure of Khalid Aucho and the absence of Collins Okoth Gattuso due to disciplinary issues and and Geoffrey Walusimbi due to injury. Dependable Ugandan wingback / midfielder Geoffrey Walusimbi is working himself back into playing shape after he sustained injuries in a traffic accident. Reports say he was a passenger in a motorbike going to training when the motorbike was involved in a collision. He sustained serious injuries and has taken time off to heal. He returned to training this past week. “Well, I have been training alone trying to ensure my body gets into the right shape before I get back to full training. I was involved in an accident a few weeks ago as we were preparing to face Tusker in KPL Top 8 competition and only a few people knew of it. “Right now I feel okay and my main aim is to work harder and get into the first team. Hopefully next week I will be training fully and who knows, I might be involved depending with the coach’s assessment and needs.” Walusimbi told goal.com. Gor Mahia have started the second leg of the league in much the same way they started the first. On Sunday, Ushuru, who have recently proved a tough nut to crack, held Gor Mahia to a 0-0 draw. 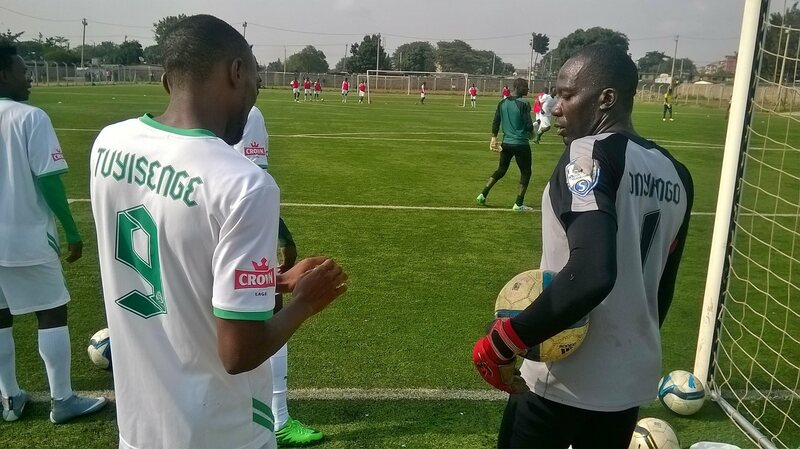 Gor Mahia were held to a frustrating draw by Ushuru FC in a league match played on Sunday. The fifteen times Kenyan champions came into the match as favorites following their brilliant record against the tax collectors, having not conceded a single goal against them, leave alone losing against them. Coach Ze Maria opted to rest defender Haron Shakava with former Tusker Man Luke Ochieng’ given a starting berth alongside regular Musa Muhammad with Jacques Tuyisenge, George Odhiambo and Meddie Kagere starting upfront. Ken Kenyatta decided to name goalkeeper Shaban Odhoji between the posts with Aziz Okaka and Lamine Diallo also given a starting berth for Ushuru. It was the visitors, who started well and could have taken a lead in the 4th minute after an early break, but Diallo was unable to put the ball in the back of the net as Boniface Oluoch correctly read his mind to put the ball out for a fruitless corner. The visitors continued pressing for an opener with Okaka and Kennedy Oduor troubling in the wings, with Gor Mahia resorting to long balls. In the 17th minute, Okaka did well to beat Karim Nizigiyimana, but he could not find the target, and three minutes later, it was Oluoch, who was called into action once more as Diallo left three defenders for dead unleashing a shot which was tipped out for a corner. That attack turned out to be a wakeup call for the hosts, who reacted by initiating several attacks notably Nizigiyimana’s attempts which unfortunately failed to yield fruits. 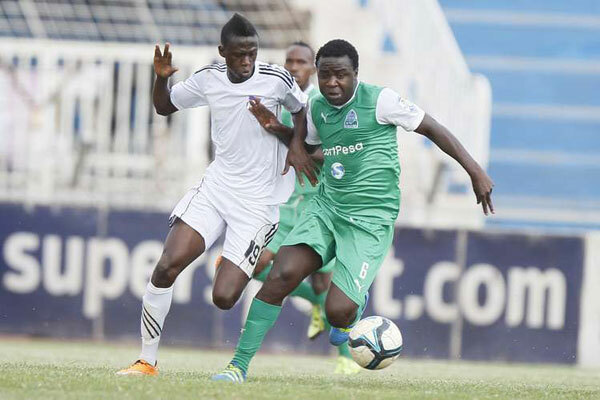 In the 38th minute, Gor Mahia came close as they were rewarded a free-kick which was taken by Francis Kahata, but Meddie Kagere failed to connect. Uncustomary, the champions looked the weaker of the two sides and once again Oluoch was called into action with five minutes to the break as he reacted fastest to deny Okaka from close range after a corner by Ushuru. After the break, Baron Oketch was introduced in the place of disappointing Blackberry, with Innocent Wafula replacing Francis Kahata, with Ushuru bringing in Roosvelt Blaty in place of Erick mata. In the 66th minute, Gor Mahia initiated a swift counter attack involving several players, but were let down by finishing as Wafula crossed the ball which missed Kagere. The champions continued pressing as Ushuru started playing cautiously, keen to get a point. K’Ogalo could have won it in the 80th minute as Amos Nondi cleverly played in Wafula. The attacker had all the time to set himself up but he could not hit the target as his shot went wide off the mark. Not even the six added minutes could enable either side to score. Ushuru Starting XI: Shaban Odhoji, Jackton Onjala, Rodgers Ochieng, Fan Ngaira, Kelal Ogal, Maurice Odipo, Eric Mata, Philemon Otieno, Lamine Diallo, Kennedy Oduor, Aziz Okaka. Subs: Barnabas Tiema, Evans Kiwanuka, Roy Okal, Roosevelt Blaty, Dennis Wafula, Oscar Mbugua, John Kiplang’at. Gor Mahia: Boniface Oluoch, Karim Nizigiyimana, Eric Ouma, Musa Mohammed, Luke Ochieng, Ernest Wendo, Nondi Amos, Kahata Francis, Jacques Tuyisenge, Meddie Kagere, George Odhiambo. Substitutes: Fredrick Onyango, Wellington Ochieng, Abouba Sibomana, Enock Agwanda, Antony Mbugua, Baron Oketch, Innocent Wafula. Gor Mahia had gone seven games without losing or drawing. That run was ended last weekend by a stubborn Kakamega Homeboyz side who held that to a 1-1 draw last weekend. This Sunday Gor Mahia take on Ushuru knowing they must put the train back on the tracks. Any slip-up could see the gap between them and leaders Tusker expand to 7 or 8 points. Ushuru will not be an easy task as they have been impressive in their last three games, beating Western Stima 3-1, beating Sony Sugar 2-1 and drawing 1-1 with Bandari. Ushuru coach Ken Kenyatta, a former goalkeeper for Transcom FC among other teams is determined to keep the run going. Gor Mahia has in the past had a stellar record against Ushuru. That also ended this year. In April, Ushuru battled Gor Mahia to a scoreless draw. Nevertheless, Ushuru has never beaten Gor Mahia. In May, the two sides met in the KPL Top 8. Ushuru once again gave a good account of themselves. Gor Mahia were lucky to beat Ushuru 1-0. However Kenyatta knows that past results count for nothing. When Gor Mahia last played Usuhru, Kogalo were struggling. “It is going to be a tough match but that does not worry us at all. “History counts for nothing, it changes and that is why we are training. If we know we are going to be defeated, we can as well remain home,” Kenyatta told goal. For Gor Mahia, coach Ze Maria will need to find a way to keep his players motivated for the full 90 minutes. He has had a week to further sharpen the Kagere-Tuyisenge partnership. Fans will be hoping that the duo will be effective against the taxmen.